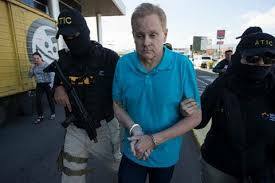 Eric Conn being arrested in Honduras after six months on the run. Ever contemplated absconding with obscene amounts of ill-gotten cash? It’s in the news frequently and plenty of movie plots glorify the notion. From pyramid schemes that come crashing down, to embezzling proceeds from charities or simply cooking the books at the local tire joint. As the crime becomes evident and the perpetrator identified, he or she vanishes, a fugitive from justice, off in search of a new life, with a new identity using the stolen proceeds to pave the way. It sounds exotic, until the reality crystallizes that there is no returning home, and being a fugitive from the law isn’t the glamorous existence one imagines. Think being famous is uncomfortable because of all the attention. Try landing on a Most Wanted list, with a cash reward offered for information leading to your apprehension. It’s a life spent looking over both shoulders to see if anyone recognized you. A high-profile case such as this played out in grand fashion in Kentucky recently. 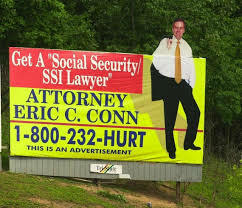 Eric Conn, once one of the top Social Security disability lawyers in the nation, was implicated in defrauding the Social Security Administration and became a fugitive from justice before being caught six months later south of the U.S. border. In a dramatic fall from grace, Conn’s crimes earned him 27 years behind bars. The defendant, who represented thousands of Eastern Kentucky residents in claims for lifetime federal disability benefits, began his multi-million dollar scheme in 2004 and continued profiting through 2017. Conn’s distinctive billboards dot the tree-covered hills of eastern Kentucky. He was initially arrested on April 4, 2016. U.S. District Judge Danny C. Reeves released him on $1.25 million bail and placed him on home incarceration. His whereabouts were to be tracked by the U.S. Probation Office (USPO) via a GPS ankle monitoring device. On March 24, 2017, Conn waived the two-count felony indictment and pled guilty to fabricating evidence provided by medical professionals who signed off on disability claims without doing actual examinations in exchange for unlawful cash gratuities. Additionally, the defendant paid more than $600,000 in bribes to David Black Daugherty, a Social Security judge, between 2004 and 2011, to rubber-stamp some 3,149 cases. The scheme potentially obligated Social Security to pay more than $600 million over the life of the beneficiaries. 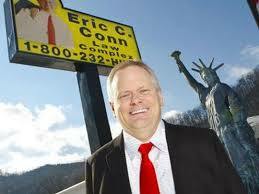 Prior to the fraud being discovered, the agency paid out $72.5 million in claims to Conn clients. One of the doctors who handled many of Conn’s cases died before the scheme came to light. Alfred Bradley Adkins, a Pikeville psychologist who administered fraudulent mental exams, was found guilty by a jury and sentenced to 25 years. Daugherty pled guilty and received four-years. While Conn spoke multiple languages, was documented crossing the border some 140 times over 10 years and told at least six people he would flee the country rather than go to jail, Judge Reeves again released the defendant to home detention. Conn’s sentencing was to take place in July 14, 2017, but as part of his plea agreement he was compelled to testify in the Adkins’ trial on June 5, 2017. These were court appearances Conn never made. 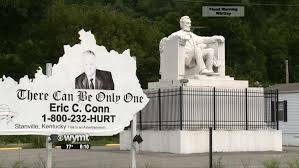 After Conn fled Kentucky he became an awful popular fellow. 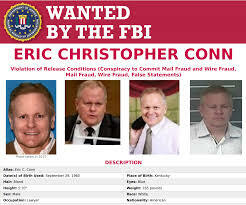 Instead Unindicted Co-Conspirator A, along with Curtis Lee Wyatt, a resident of Raccoon, Kentucky, who was an employee of Conn’s law firm, conspired with other person(s), to aid Conn in escaping on June 2. Furthering that conspiracy, Wyatt opened a bank account controlled by Unindicted Co-Conspirator A, where money was deposited and transferred outside the United States for the defendant to later access. At Conn’s direction, Wyatt traveled to Nogales, Arizona, on April 23, 2017, to assess the prospects of being able to cross into Mexico while dodging security measures. The following day another route was tested. This time Wyatt crossed into Mexico through the pedestrian checkpoint in Columbus, New Mexico. Once back in Kentucky, with funds provided by Conn, Wyatt purchased a white 2002 Dodge Ram pickup truck in Somerset, Kentucky, on May 10, 2017. The seller was instructed to register the vehicle at an address in Kalispell, Montana, under the name of Disability Services, LLC, a company associated with Conn purportedly headquartered in East Helena, Montana. The Statue of Liberty replica outside Conn’s office. 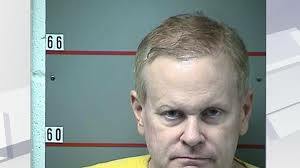 With permission from the probation office, Conn traveled on June 1, 2017, from his residence in Pikeville, Kentucky, 140 miles west to Lexington in preparation to testify in the Adkins trial. Conn spent the night in a Lexington hotel and remained there through the evening hours of June 2, with the trial set to begin on June 5. That first night in Lexington Wyatt delivered the white pickup truck to Conn and provided him the keys. The following night, June 2, around 8PM, Conn severed the court-ordered monitoring device from his ankle, concealing it inside a metallic pouch, or Faraday bag, designed to suppress electronic signals and discarded it on the side of a highway. Over the next several days the defendant disappeared into the wind, making his way to New Mexico, abandoning the vehicle near the border. After scouring bank accounts, emails and social media posts believed to be from Conn, conducting dozens of interviews, and searching his mother’s house, the hunt led to a Walmart parking lot in Columbus, New Mexico, and finally to a Pizza Hut in Honduras. 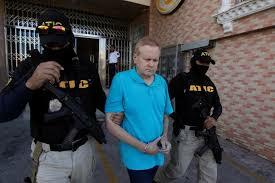 Conn, looking frail and wearing a blue polo shirt with close-cropped reddish-gray hair, was captured by a SWAT team on December 5, 2017, as he left the restaurant in the northern coastal city of La Ceiba, and was extradited to Kentucky. While nearly a dozen law enforcement agencies searched for the fugitive, he was sentenced in absentia last summer, on July 17, to a 12-year prison term, the maximum possible on his original charges. Conn’s failed effort to allude punishment for his initial crimes did not win him favor with prosecutors. A plea agreement was signed on June 4, 2018, and judgment rendered on September 13, on charges of conspiracy to defraud the United States, conspiracy to escape and conspiracy to retaliate against a witness. He was given 5 years on each charge, 15 total years, to run consecutively. Adding this new punishment to his existing 12 year term places the 58-year old former disability kingpin behind bars for 27 years, likely the remainder of his natural life. Who doesn’t need a replica of the Lincoln Memorial in their office parking lot? This disheveled version of Conn seen at his arrest and subsequently in court appearances is not the one residents of eastern Kentucky, one of the poorest regions in the United States, are accustomed to seeing. Known as Mr. Social Security f0r his flamboyant TV commercials, outsized brilliant yellow billboards and numerous other eccentric marketing practices, Conn was a lawyer with swagger. From an office that began in a trailer, Conn built a disability empire in the mountains of Floyd County. The Social Security Administration paid his Stanville, Kentucky firm $23 million in fees between 2005 and 2015. With that cash came a flamboyance. There were office expansions, including replicas of the Statue of Liberty and the Lincoln Memorial installed. He wore Armani suits, drove a Rolls Royce, flew to exotic destinations around the globe and was the target of beautiful women. All of it an illusion built upon a fraudulent scheme that crumbled into ruin. As for those who were fraudulently awarded Social Security benefits, many have lost this income. Some 1,787 former Conn clients were notified by the Social Security Administration they must face re-determination hearings to see if their benefits are legitimate. Ultimately only about 53 percent of those who went through the hearings kept their awards. Those denied benefits can appeal in federal court. The Social Security Administration has announced an additional 1,965 of Conn’s clients will face eligibility hearings going forward. With two separate sentences imposed, Conn has reached the end of the line for a life as a free man. There is nowhere left to run from 27 years behind a prison wall. This entry was posted in News and tagged Alfred Bradley Adkins, Curtis Lee Wyatt, David Daugherty, Eric Conn, Faraday Bag. Bookmark the permalink.